The biggest hospitality fair in France, Equip’Hotel, has ended and as expected, it was an incredible success. Stretched over five days, from November 11-15th, over 1,443 vendors set up across three floors with over 10,000 daily visitors experiencing the latest in hotel technology. 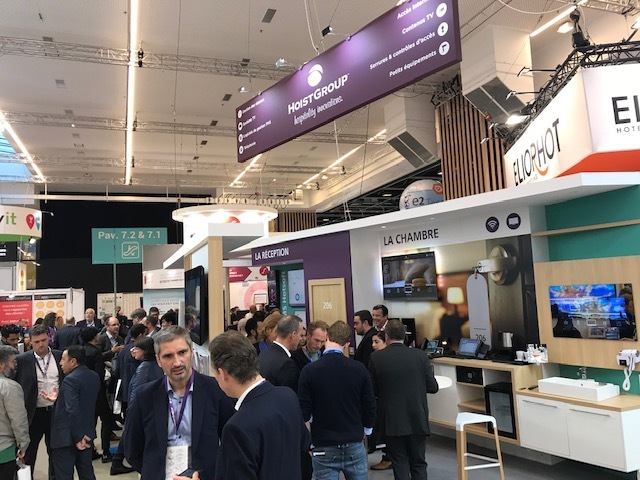 Hoist Group joined the crowd of IT innovators with a 40 square meter replication of the complete guest experience via our concept: Follow the Guest. All solutions showed market interest, but particularly PMS, Chromecast, and Mobile Key which generated queues for demo! The Hoist Dashboard, which is integrated with all of Hoist Group’s products, was another highlight alongside our new room control and voice command prototypes. 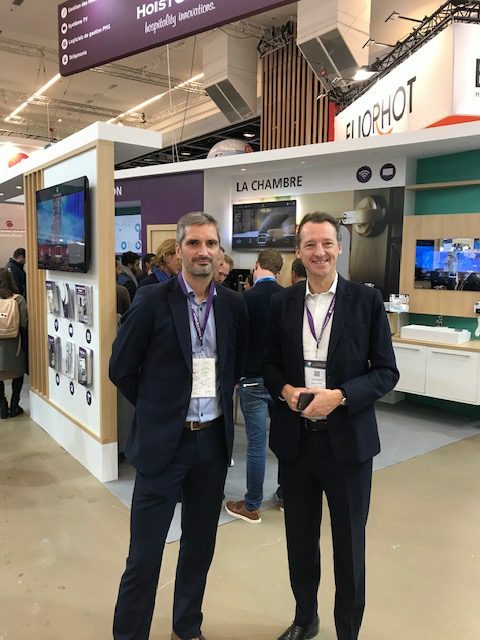 Hoist Group’s representation and concept at Equip’Hotel was headed by Firath Jesuthasan Francis (Marketing Manager, Hoist Group France) with support from Fredrik Edström (Country Manager, France) alongside Hoisters across France and Europe who helped to make the event possible. Hoist Group founder and Chairman of the Board, Malcolm Lindblom, even made an appearance and snapped a few photos (shared above and below) of our booth at Equip’Hotel. 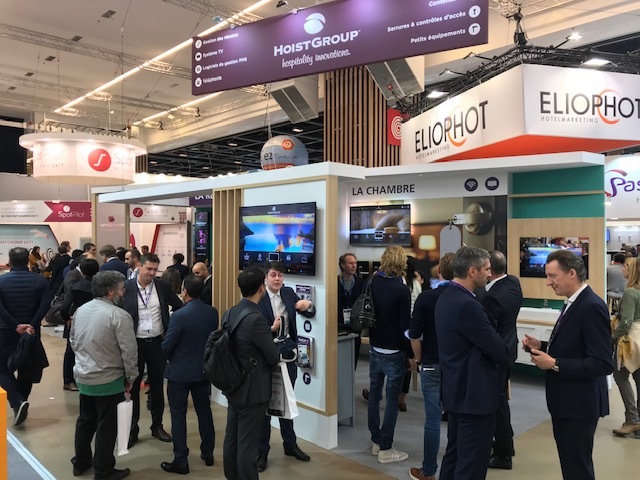 The five days at Equip really highlighted how important it is to hoteliers to have one partner for all of the services they require in order to run their business efficiently, which at Hoist Group, we are proud to offer.